Studying our “fine feathered friends” this year? 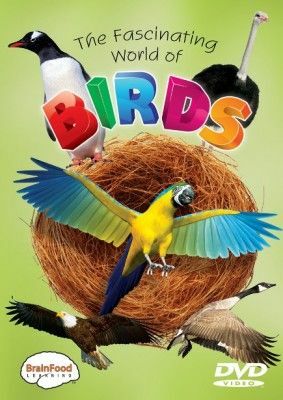 The Fascinating World of Birds from BrainFood Learning is a great resource you can pop into your DVD player (or computer) on a rainy day. The segments are a combination of very short live action video clips mixed with stills showing the birds in their natural habitat engaging in their natural habits. A pleasant voice over (adult female) gives pertinent details. Near the end of each segment, a particular vocabulary word that pertains to birds is highlighted and defined (a child’s voice is used for these few second). So, for Hummingbird, the word is “metabolism,” for Macaw it’s “plumage,” for Eagle it’s “raptors,” and so on. Review Your Birds quizzes kids to identify the names of the birds to go with a picture. Features of a Bird is an informational segment on characteristics shared by all birds (examples: hollow bones, hard-shelled eggs, etc.). Review Bird Facts is a multiple choice quiz that gives a fact about a bird and asks kids to choose which type of bird that fact refers to. Review the Big Words is another multiple choice quiz that uses the vocabulary words highlighted near the end of each bird segment. 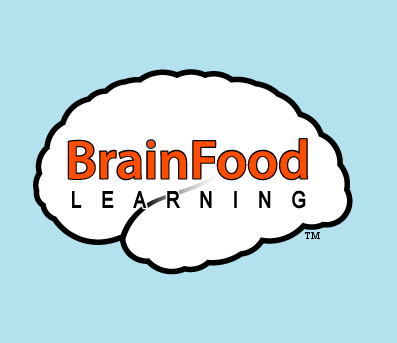 There is also a free 18-page downloadable lesson plan available on the website to extend your learning. All of my kids, ages 4 to 13 enjoyed this video. They especially liked that there is no fluff! My kids hate watching a 30 minute video that’s 10 minutes of real information and 20 minutes of “bumper” segments and fancy graphics---this video is packed with information. We learned more from it than we have from some library books on the same subject. Did the 4-year-old retain much? Probably not, but it kept her attention. The 9-year-old and 13-year-old probably benefitted the most from the information given. The production values are high. Transitions from one clip to another are well done. The voice over is pleasant (it’s the same voice you hear in the preview). The review segments vary quite a bit in difficulty, so there is something there appropriate for each of my kids. I’m genuinely impressed with the overall quality. Best suited for grades 2 and up. We watched The Fascinating World of Birds straight through, but I can see us using it one segment at a time alongside a longer bird study.